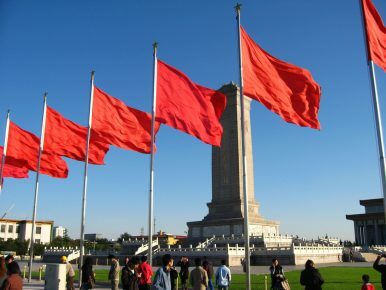 Facing a slowing economy, Beijing is struggling to boost the market confidence of the international business community. While high-level trade negotiations between the United States and China dominate headlines, the Chinese government has taken steps on its own that may have great implications for U.S.-China economic relations and foreign businesses. As stagnant foreign investment is hurting China’s economic growth, the Chinese government has adopted the new Foreign Investment Law (FIL) and opened up new sectors, trying to prove that its intention to reform is real, and that progress is being made. Yet these continuing efforts, while seeming to grant new room for foreign investment, have not yielded concrete returns. China’s economic growth continues to slow in part because of weak foreign investment. Last year, China’s economic growth dropped to 6.6 percent – the lowest rate since the 1990s – and is predicted to slow further this year. China’s industrial profits are falling; the vital auto industry, for example, posted a 42 percent year-on-year decline in the first two months of 2019. There are many reasons behind this – stockpiled government debts and inefficient state-owned enterprises (SOEs) among them – but stagnant foreign investment has been a primary reason driving lower economic growth. Consider this startling statistic: Foreign investment in 2018 grew by just 3 percent, compared to almost 8 percent growth the previous year. For the international business community in China, concerns extend beyond economic measures. The deteriorating Sino-U.S. relationship has dimmed businesses’ economic outlook, while at the same time, business leaders are worried about China’s increasingly tightened social control. The growing feeling of insecurity and doubts about the government’s reform efforts have further discouraged business activities. The American Chamber of Commerce in China’s 2018 business climate survey shows that 52 percent of respondents believe that intellectual property (IP) leakage, as well as IT and data security threats, are greater in China than in other regions. Close to 50 percent of respondents still feel they are treated unfairly compared to local companies. While deeper structural reforms have yet to come, Beijing has started to respond to foreign concerns by hastening the legislative process of the FIL. Compared to the eight years China spent to study and produce the draft, the rest of the codification took less than four months after the release of the December 2018 draft. The parliament even convened one additional time in January, a rare move for Beijing, to expedite the process. The draft law made it just in time for the annual legislative ceremony, went through deliberation, and passed on March 15. Unlike its previously cautious approach, China pushed the FIL forward in an unforeseen fashion. The rushed legislative procedure served to send a strong signal to the international business community that Beijing is serious this time. Speeding up the legislative process aside, Beijing also included several internationally recognized policy practices to impress capitals overseas. Most notably, the FIL officially introduces the use of the so-called negative list management system, replacing earlier investment categories of encouraged, restricted, and banned investment. Additionally, the FIL stipulates that the Chinese government must provide pre-establishment national treatment to foreign enterprises, which requires investment recipient countries to provide treatment no less than domestic investment at the entry stage. On IP infringement, the FIL explicitly outlaws forced technology transfers and aims to protect the intellectual property of foreign enterprises. Beijing further attempted to prove its support to foreign enterprises through new precedents in the fields of market entry, equal government treatment, and IP protection in the past months. The finance industry has been a forerunner in opening up recently. UBS became the first foreign bank to gain a majority stake in a securities joint venture in China last December. S&P Global became the first wholly foreign-owned credit rating agency to operate in China a month later. In March, ING Bank was poised to lead China’s first commercial bank with a foreign major shareholder, while China’s banking and insurance regulatory agency said yes to the first Chinese-foreign pension insurance joint venture. Regarding government treatment, Beijing ensured that the Tesla Shanghai factory turned from a piece of paper to an actual factory in half a year. IP protection wise, auto manufacturer Jaguar Land Rover won its lawsuit against a domestic Chinese copycat. The foreign business community, however, did not react to the swift legislation and simultaneous precedent-setting as excitedly as Beijing would have hoped. Critics worry that, without supplementary regulations in sight, the FIL did not bring enough guaranteed support to foreign enterprises. While China did catch up with more common practice in legal terms, it also leaves maximum flexibility in the interpretation of those terms. The new precedents are subject to a very similar concern. While these efforts suggest that China is opening new sectors, future decisions could also be on a case-by-case basis. The government retains the option to reverse its course at any time in the future. More than anything, the trend of falling foreign investment is driven by what companies hate most: uncertainty. There is uncertainty generated by the political atmosphere on both sides of the Pacific, and uncertainty driven by the lack of trust – combined, these doubts mean that well-intentioned attempts by the Chinese government to welcome investment are falling short. Facing a domestic economic slowdown, Beijing has catered to foreign enterprises by addressing their concerns in hopes of tackling external pressure and stabilizing its economic performance. China strives to prove that it is establishing a friendlier business environment, yet it so far has left most flexibility to itself. Beijing has been trying hard to tell foreign companies that the government welcomes them and their investments, but government efforts continue to skirt the core issues and disappoint would-be investors. Zijia He is an intern at a D.C.-based commercial diplomacy firm. Amy Qingyi Xie is currently a Junior Fellow in the Asia Program at the Carnegie Endowment for International Peace in Washington, D.C.
China’s system for security screening of foreign investments is still veiled in secrecy.